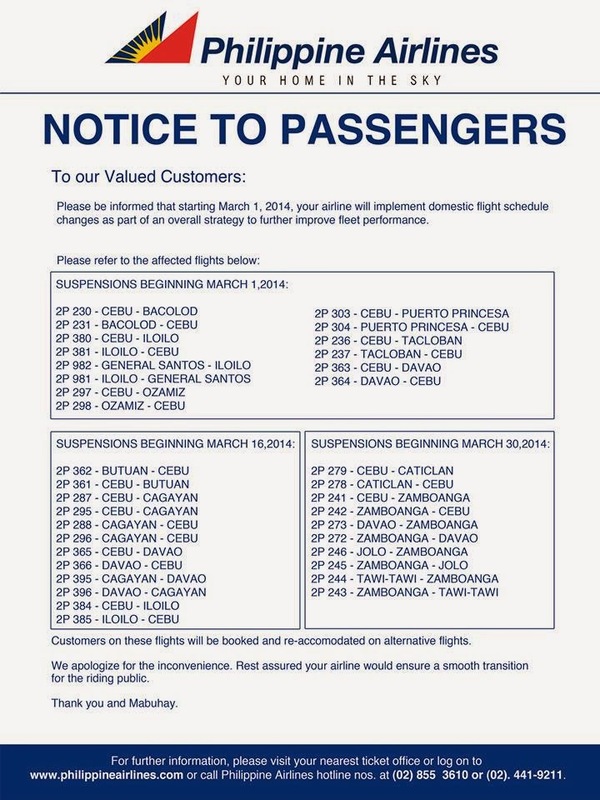 Philippine Airlines Promo: Philippine Airlines (PAL) has made a few flight changes with regards to their domestic route and implementation will start sooner on March 1, 2014. This is to improve their fleet performance as an overall strategy. If you have further information, pls. call 02-855-3610 or 02 441-9211. Or feel free to visit the airline's website at www.philippineairlines.com.